So Legs is out of town on her Disney vacation today and through this next week so I'll try to keep the posts coming. A couple weeks ago my Xbox 360 started to not work very well. I had been putting off doing something about it for a while but after dropping Legs off at the airport for her trip, I decided that I should take care of it. Well, I sold my old console and some games to Game Stop and bought one of the new Xbox 360 consoles. It's really cool! Smaller, quieter, bigger hard drive. What more could a geek-gamer want!?! I'll tell you. Kinect. Microsoft has been working on this for a while now and it's finally been announced officially. It is essentially a controller-less way to interact with your console. The cameras on the bar track your entire body. 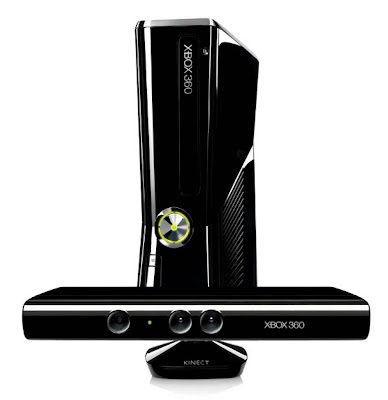 The Wii kind of started this whole movement tracking trend but Kinect really has taken it to a new level. The Wii uses accelerometers to determine how fast and in what relative direction you are moving the controller. With the new Motion Plus, I believe they also added a Gyro-meter to track relative orientation as well. This has worked great so far, but think of all that but without the controller. You just stand and move and the games react. It really sounds like science fiction. I can't wait to see it for myself because right now it seems too good to be true.